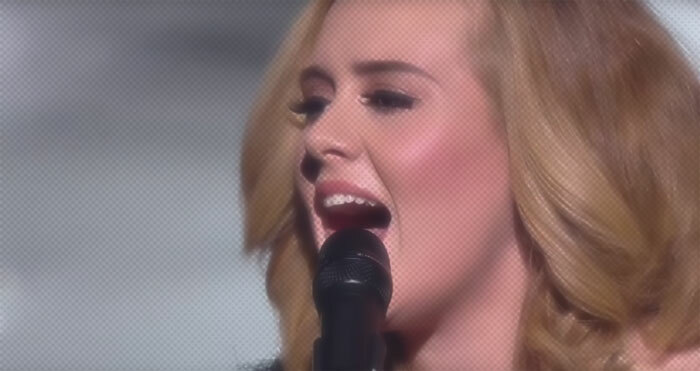 Diva Devotee: Adele Hits An Impressive Eb5 In Live showing of New Song "When We Were Young"
Adele Hits An Impressive Eb5 In Live showing of New Song "When We Were Young"
With 25 being released on Friday, you best believe Adele is going to be EVERYWHERE. With a BBC hour long special already recorded and hyped, a new clip has been released of the Diva's 60 Minutes special for Australian television. Amongst the interview excerpts, we are shown snippets of two new songs. It was the first, When We Were Young, that caught my attention, seeming to show some real vocal growth. Does the impressively mixed and sustained Eb5 she hits indicate new tricks have been learned in the interim between albums? The sound produced says yes, while the tense face and jaw-generated vibrato says maybe not to get too excited just yet. Whatever the case, she sounded great!